As cases of car-bike accidents seem unending, it is important to take safety into your hands and one of the ways is getting a bright and sharp light for visibility. Whether it is front, rear or taillight light, light is something any typical biker or road user shouldn’t omit. For that reason, we have carried out a well-researched study on best bicycle lights to get you the six best to keep you safe when you are out there riding on and off the road. 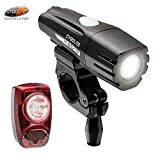 Among others, Cygolite Metro 400 Bicycle headlight, Light and Motion 400 Urban Bicycle light, and INTEY LED Bicycle Light won our hearts for many reasons. First, they offer more than what a typical bicycle light offers. As a matter of fact, we think they are not just illuminating units but are also reliable companions for a safe ride. In addition, they are well-priced and easy to find around. While they have their different tiny flaws, they are functional, durable, versatile, and deliver multiple options or settings. Overall they provide a good way to get started with riding safely. 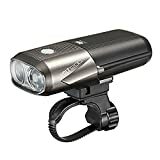 This Rechargeable Bicycle Headlight makes it to the top of this list on the basis of being a high performing light, only second to a few in terms of output (750 lumens). Combining high light output, multiple modes and USB rechargeable features, the amount of intelligence that goes into this technology is mindblowing. In addition, the headlight offers an extra-wide long range which goes beyond the usual and actually projects images some far distance in front of you. There are different modes, which include night and day. In all, they consist of boost, high, medium, low, steady, pulse, day flash and walking modes. The steady-flash mode is great for a street ride at night while the day-flash mode is best for a 24-hour ride. Although this doesn’t impose “careful riding” on you, it goes a long way in helping motorists stay watchful while driving around you. It is the kind of safety technology that is making a massive difference in curbing accidents on the road. Fortunately, this comes at a considerable cost compared to similar ones. It won our hearts for reliability when it comes to visibility but it has a slightly lower run time of 1.50 hours on a high setting and 150 hours on a low run. That notwithstanding, the battery life is good enough to allow you sufficient voyaging time on the road. Besides the battery, installation is not as much of a breeze as with Cateye, but it will only take minutes before you get it absolutely right. Mount is not quite as easy as with Cateye headlights. You can save quite a bit of money and get this effective commuter headlight that can brighten up your ride. Although we found its runtime relatively short compared to some others on this list, as long as you remember to charge it, it won’t die during a commute. Plus the battery only runs out quickly when it operates at its highest output. You can run at a low or medium setting and get much better runtime as well as sufficient illumination for your ride. This LED bicycle light is not just about illumination. It is also about affordability and reliability, winning the cheapest-on-the-list title, yet functional. The light offers 1600 lumens light output that is comparable to a car light. This front light will keep any bicycle rider safe on urban streets, off-road and unity country lanes. It is USB rechargeable, which makes it easier to keep the light fully charged in less than 3.5 hours. The light may not have the longest battery life as it can only illuminate your way for 1.5 hours on the highest setting and up to 3.5 hours on other settings, but guess what, it is powerful and versatile. You can use it as a power bank to charge your phone and other USB chargeable devices for its 5000 mAh built-in battery. There are six light settings to fix all your needs but the major attraction is its wire remote button, which means you don’t have to take your hands off to activate the lights. By a simple stretch of your thumb, you get it operating at your desired setting which is safer and more convenient. Also when you need to see images that are not directly in front of you, the light allows you to rotate to see in any direction, truly. It is very affordable for the value it delivers. This is the best bet for you if what you want is something really portable and versatile. It makes use of a well-made optics with a diffusing lens, spreading light equally across the road. We fell for its mount. The light can be removed and mounted easily. Everything else including the output also caught our interest. The affordability is a plus. 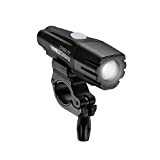 The Cateye Volt 1200 bike light is a high-intensity bike light that chucks out plenty of light. With its huge 1200 lumen output, we think the light’s output rivalled some car lights. As a matter of fact, Cateye is smartly designed to illuminate the road in a manner that lets you see and be seen by other road users. The light can be used off-road as well. The light has multiple modes with all-night mode giving you excellent visibility to navigate by in the darkest of country lanes. But when heading downhill you will want to switch to a higher beam. You can also use the higher beam when on a lonely road. There are also low power and Hyperconstant settings too. The Hyperconstant setting gives a low power but with a full beam strobe which is enough to alert others of your presence in the daytime. When clicked twice, it gives you a flashing mode which is a nice idea to switch to when around town. Overall, the amount of light is quite astonishing, you would be satisfied you bought it. Mounting is a bliss with the light’s FlexTight Bracket technology that allows you to be ready to hit the road within minutes. In low-light conditions, the OptiCube lens technology reduces the brightness and illumination to ensure your safety. It has a long battery life which takes some time to charge, but can last for days once charged. Easy tool-free mounting that lets you easily mount, adjust and move your light by hand. It is rechargeable with a reliable battery that provides up to 100 hours of life on a single charge. There is a lot to get from this light especially if you always ride through pitch black lanes. It is also good for daytime riding for perfect visibility. SEE AND BE SEEN: The Volt 1200 has high-intensity white LEDs that provide 1200 lumens, lighting the way and alerting others of your presence. LIGHT FOR EVERY RIDE: Whether you're riding in broad daylight or complete darkness, we've got you covered. The Volt 1200 offers high, middle, low, hyper constant, and flashing light modes. 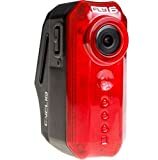 Cycliq Fly6 HD camera and Rear LED Light Combo addresses the complaints of the previous version; Original Fly6. The Cycliq is more than what you will ever need for a super bright long-lasting visibility. Although it’s not the cheapest we’ve seen, its price tag looks like what most bike commuters would likely go for. 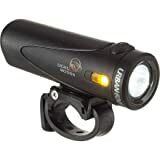 With 30 lumens light output and multiple flashing and dimming modes, the light is perfect for long trail rides. It has a battery life of 6 hours on a single charge. What’s more into the bargain is its HD camera with 1280×720 resolution at 30fps which allows you to record whatever happens during your ride. This Fly6 HD Camera and LED tail light has a new ultrasonically-bonded lens and improved sensor. This according to the manufacturer produces a sharper and crisper footage. However, the field of vision reduced to 100 degrees, which is 30 degrees lower than that in the older version. Although this is contrary to common-sense expectation on the part of the new versions, the corners of the footage were not sharp to make out sufficient details compared to a clearer sharper footage by this new model. This light has an advanced memory function that never forgets your preferred setting between uses. Again, Fly6 HD Light comes with several necessary accessories including five spacers, two sets of standard straps, one set of longer straps, adapter for uploading, two seatpost mounts, a mini-USB cable and an 8GB Class 10 microSD card. More than that, it features a Nano-technology for all weather use. Apart from cost, the light produces a lesser light than Cateye at 30 lumens on the brightest setting. But This doesn’t mean that the light is underpowered. It is bright enough to see and to be seen. 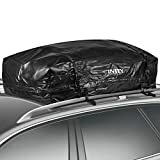 It is not a hassle to install or to remove it. It comes with all the accessories you could need. It communicates how much battery life remaining via beeps so you are not taken unawares. The camera allows you to have a record of your trip. It handles moisture more excellently than waterlogged ones. Produces a clearer footage than previous versions. It doubles as a safety camera. It is somewhat big and takes a good pace on the Seatpost. This is generally a good improvement that every biker would love. It has nearly everything to make the ride fun, easy and above all safe. We fell in love with its HZO nano-coating that helps the unit and its internals repel water. Light And Motion Urban 400 Bike light is a handlebar light for bikers who use different roads, it’s also good for winter road bikers. It produces a powerful light for adequate visibility. As for design, the light has a slender round profile with no hefty batteries to cause early bottle cage fatigue. The light also produces very bright light that allows you to see and to be seen. It also has a firm bracket that mounts any bar in seconds. Its effectiveness allows you to see the obstacle ahead of time for matchless safety. There is a little trade-off in terms of run-time as the Light and Motion Urban 400 Light will run for 2 hours on the high setting and for 4 hours on medium. However, fortunately, the low battery indicator gives you enough warning, so you calmly toggle down and move safely home in a low setting that extends the battery life. More importantly, the battery needs a five-hour fueling using an included Micro USB charge cable before you ride into the night. The battery life isn’t the longest on the list. If you are really looking up to visibility, you may want to buy this Light and Motion Handlebar light. The light gives you the visibility and clarity you need to fly over broken pavements while avoiding the obstacle. Although you have to dig deep into your pocket to get it, you will surely get the value of whatever you pay for it. Cygolite’s Metro series is generally known as a leader in cheap and high-quality commuting headlights, this model wins it big too. the light performs just like the other Cygolite Metro Bicycle light on the list but comes in the smaller package – lower light output. But you won’t find much difference as it is very bright and sharp. Cygolite comes as a combo light with 400 lumens headlight and 2w taillight with six different settings. It stays locked to your bike with its lock-tight handlebar mount and seat post mount. The main attraction is that of all its values, it comes at a considerably affordable price although not the cheapest on the list. Beyond that, it is a solid construction with a housing that is tough enough to withstand external pressures. Some say it takes some fumbling to mount. Depending on what you want, you can get headlight and taillights separately. If you want to save some money you can go ahead and get this light. We fell for its outstanding offers and its overall build which we found quite tough. With these six great bicycle lights, you can hit the streets any time regardless of the hour of the day without the fear of being in danger due to lack of visibility. They are versatile lights that can also be used for multiple purposes. While some have higher price tag than others, all of their prices are still fair enough for the different values they bring to the table. Above all, they will last more than you expect due to their solid housing and matchless durability.